Planning to build a website for your business? Not sure whether a powerful WordPress website would be a better option or a customizable HTML website? Here is a detailed analysis for understanding the benefits of one website over the other. WordPress is a powerful CMS that ensures easy management of website and its content and also manage the Google-friendliness of the website all in all! It is powered by thousands of plug-ins and themes that support website administrators and help them to easily customize as per the website requirements. On the other hand, HTML is more sophisticated based on the dynamic Hyper Text Markup Language coding that enables developers to easily customize the structure, design and layout of the website. HTML website have flexible site layout with easy-to-customize functionality and coding. They are more secure, leaner and lighter websites than WordPress websites. HTML websites are built using HTML coding or markup language with expert coders using their skills to develop the most intricate coding. Developers with basic HTML coding knowledge can also develop HTML websites using editors such as Dreamweaver. On the contrary, WordPress is a compact Content Management System that is used to create dynamic pages with little or no HTML knowledge. The user can easily update blogs, add or edit pages and other contents on a website. HTML is flexible yet needs technical expertise; however, WordPress is restricted in terms of site layout and functionality but it is easier to update and manage it. HTML website needs a separate template that is designed and developed from scratch. The coding for HTML website is specific and different to a WordPress theme. 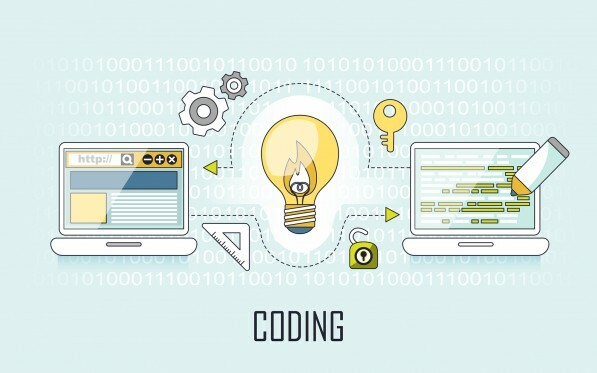 A coder needs to manually develop coding or use editing platforms such as Dreamweaver for the same. WordPress offers a number of themes along with plug-ins to update a website. In terms of design, WordPress comes with a number of plug-ins/ modules that can be easily customized and implemented on the website. However, one cannot fully customize a WordPress theme as it is way different from an HTML website template that can be fully customized and structured. Moreover, since the HTML coding is developed at the coder’s end, it is more secure and difficult to be hacked. WordPress is a user-friendly CMS that ensures easy update of the website contents including text and images. It is recommended for websites that need constant updates or frequent changes in the content such as a blog. Small ecommerce websites also thrive on simple ecommerce solutions such as WooCommerce that runs on WordPress platform. On an HTML website, HTML editors can be used to add or edit the website content. They are recommended for websites that need less frequent updates and there updates are more sophisticated and customized. They are also preferable for a lighter website with custom coding implemented. WordPress is one of the most SEO-friendly CMS and offers a number of SEO plug-ins that help to optimize websites better. HTML websites need better understanding of SEO-friendly site structure and optimizing the tags during page construction to ensure that the website is SEO-optimized properly. Both the website types are SEO-friendly; while WordPress has more built-in SEO elements and HTML is static in terms of optimizing the website right from the scratch. Both HTML and WordPress have a huge following and takers in the market. The decision to opt for one over the other completely depends on what you need to do with your website. Each platform has a certain set of advantages and disadvantages and works best for a particular set of requirements. A robust and dynamic website blossoms on a WordPress CMS like no other; whereas, more compact and customized websites may opt for HTML that are lighter and consume less bandwidth as well. Stay tuned to this section for more on WordPress, HTML and other custom coding discussion.